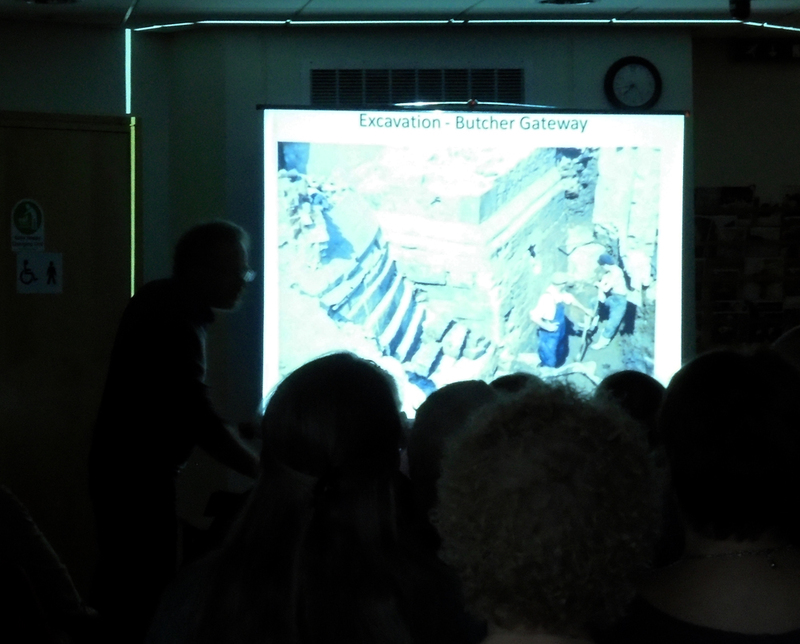 A healthy attendance of 25 plus, with a sprinkling of archaeological types, enjoyed a fascinating talk by Peter Machan on the diggings that took place at Manor Lodge over a period spanning twenty years. Peter’s tale opened with some beautiful watercolours of the buildings in their rustic decay in the late 18th century and then illustrated them by photography in their grim and grimy condition in the late nineteenth and a rather careless ‘restoration’ by the Norfolk family. 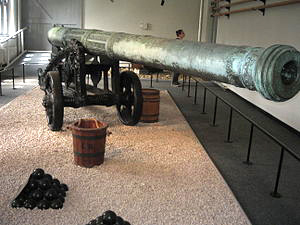 He then moved on to the endearing nineteen sixties ‘follies’ of the resident stone mason and the rather laid back excavations by bare chested (male) archaeology students lugging massive stone lintels across the site in the fashion of a seventeenth century siege gun. 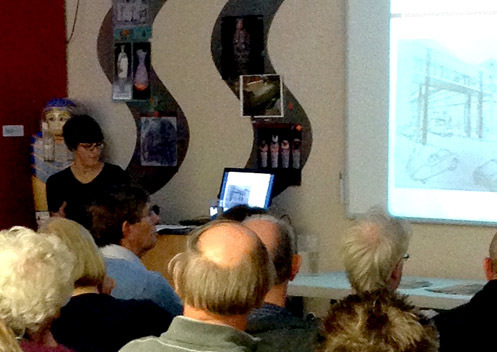 Peter made coherent the often off-putting maps of trenches with his photographs and illustrated his talk with an array of finds from flint scrapers to medieval coins, modern pottery, pipe bowls – most intriguing of all Civil War cannon balls. One felt justice has been done to this long neglected site not only in terms of archaeology but also by the speaker. The night also saw the launch of our ‘I Love Sheffield Castle Mugs’ available at the princely sum of five pounds produced under the auspices of Clive Waddington of Archaeological Research Services Ltd. Just the thing for a cuppa and a hobnob about the eagerly awaited eventuality of similar digs on the site of Sheffield Castle. 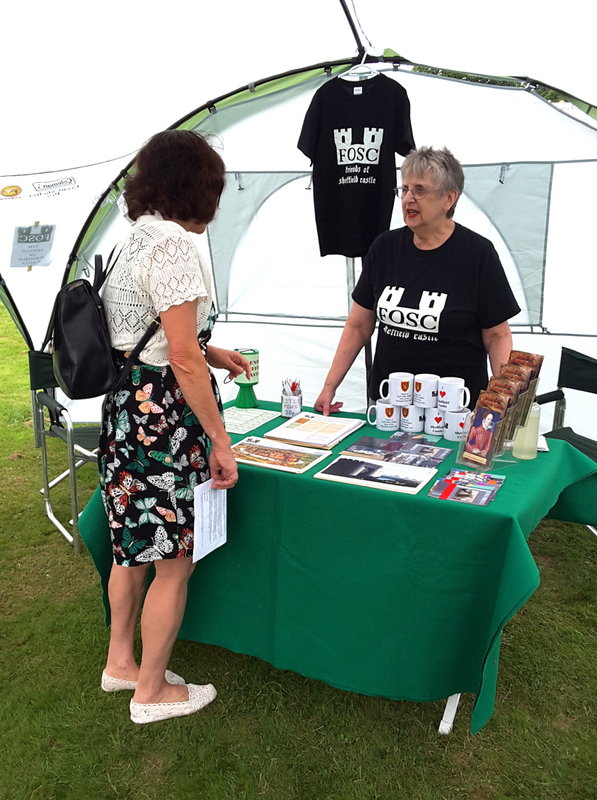 Here are some photos from recent events – the gazebo shots were at the “Battle of Sheffield Great Park” event at Manor Lodge on 1st August 2015. The other two are from the “Walk with Ron” event on Friday 11th September 2015 (total: 17 people inc. Ron & Marie). two “Castle Walks” with Ron Clayton – 1000 hrs meet Castle House – 1200 hrs finish Old Queens’ Head. 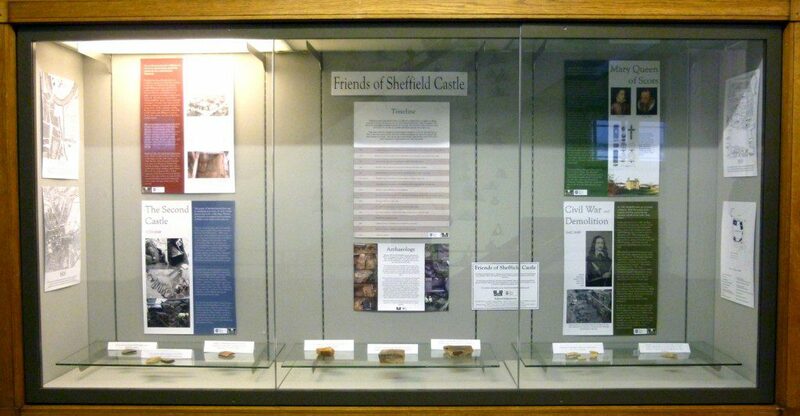 Donations to Friends of Sheffield Castle welcome on the day. 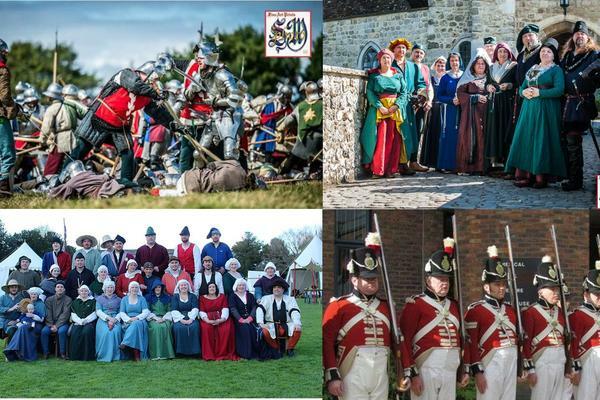 Visit the camps of the Cavaliers and Parliamentarians, decide who you want to support (King or Parliament?) and then watch them fight an epic battle, which commences at 12.30. 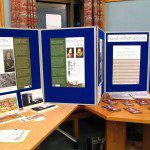 Also come and visit the Friends of Sheffield Castle and Friends of Manor Lodge tables to see our display presentations, promotional goods and general information. 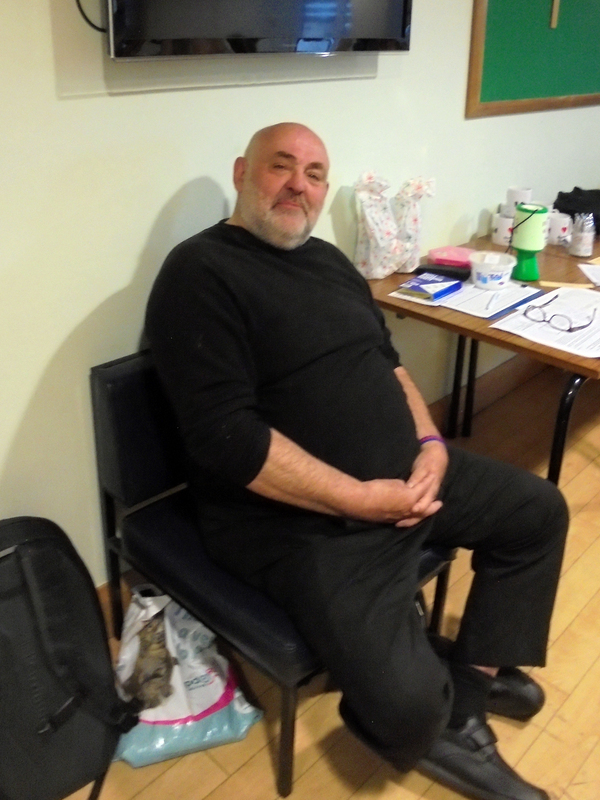 We also look forward to welcoming new members and anyone who would like to assist our “friends” groups in any way. 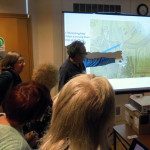 Calling Local Archaeology and History Groups! 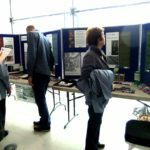 As part of the Festival of Archaeology on 13th July, Sheffield Industrial Museums Trust are inviting local history and archaeology groups from around Sheffield and South Yorkshire to book a space in the brand new Learning Centre at Abbeydale Industrial Hamlet to promote your work. The spaces are free to book and will be on a first come, first served basis. As this is a Sunday event, you may wish to offer a simple activity for families to do. There are a limited number of spaces, so don’t delay! The event will be open to the public from 11am until 4.45pm. There is an entry fee to the site of £5 adults, £4 concessions, children under 16 go free. 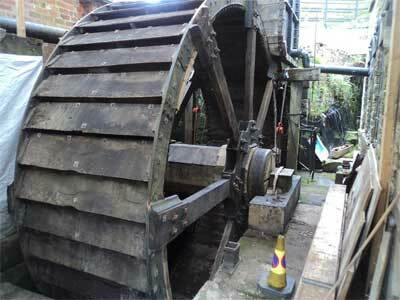 Abbeydale Industrial Hamlet is currently undergoing an exciting restoration project funded by the Heritage Lottery Fund. 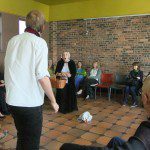 To find out more visit their website: www.simt.co.uk or follow their “Community at Abbeydale Hamlet” Facebook page. 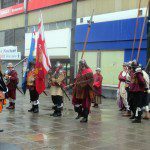 The profile of the Friends of Sheffield Castle continues to expand together with the proposals for Castlegate on not only a Yorkshire but now a national basis. Sunday 14th September sees the ‘Beating of the Bounds of Sheffield Castle’ in which the environs of Sheffield’s hitherto lost medieval stronghold with such related sites as Lady’s Bridge and the Old Queens Head public house can be explored by Sheffielders young and Old (although this walk is not recommended for children under 10). 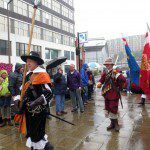 Meet up with Friends of Sheffield Castle’s Ron Clayton at 12 noon outside the Exchange Brewery, Nursery Street and finish at the Old Queens Head, Pond Hill at 1400 hours. You will require a strong sense of imagination and be prepared to cross busy roads in a safe and orderly manner as well as possessing a sense of humour! 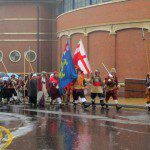 FOSC will be running a stall at this hugely popular Medieval event. 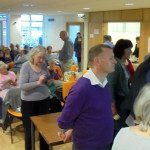 A craft fair with a difference! Craft stalls for those unusual Christmas gifts and much more besides. the Friends Of Manor Lodge will also be in attendance. 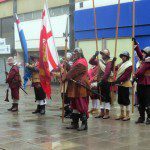 A professional group of English Civil War Renactors is a rare sight in a quiet area of down-town Sheffield at just afternoon on a Sunday. 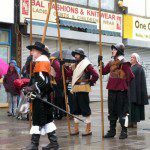 But these folk – from the renowned Sealed Knot, are just that; professional. Their skill at arms as they trail ‘the puissant pike’ (as Shakespeare terms it) is, well, skilful! 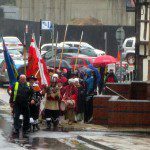 The close order in which they marched, in the teeming rain, would have graced Whitehall or the Horseguards. Precision, discipline and an education to watch. Reading out the Terms of Surrender was Col John Bright. 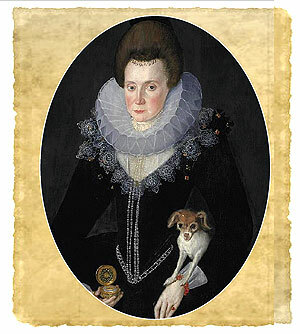 Receiving them was Mayor Thomas Beaumont and the widowed, but great with child, Lady Savile. 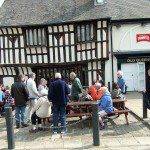 All ceremonies were discharged with grace then a march back into the C20th then back to the Old Queens Head, where the carved heads hewn from the wood of Sheffield Park looked on……. It will be held on Saturday 30th November 8pm at the Queen’s Head public house, Pond Street, Sheffield. All are invited, but seated capacity is around 30, so come early! The talk is being given as part of the Queen’s Head’s History Evening. 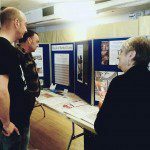 FOSC have a stall at Castlegate Festival where you can ask for information, see our displays, buy goods and join us! Here is a pdf leaflet. Here is the Festival website. 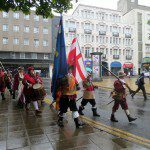 Well over 1000 people attended the Castlegate Festival, and kept us very busy! 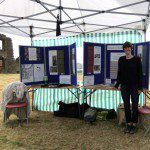 As ever, there was keen interest from people and much support for seeing the Castle remains unearthed and properly displayed. Award winning poet AB Jackson and COCOA lead artist Paul Evans will lead this exciting creative writing workshop based at Exchange Place studios within the Castlegate Quarter of Sheffield. 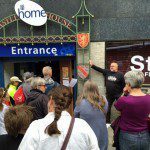 The workshop will include a short guided walk through the area, allowing us to take in some of Castlegate’s historical locations for inspiration. This workshop is ideal for any creative person, irrespective of their experience of creative writing. It will be particularly suitable for artists and writers with a personal connection with Castlegate, or with knowledge of the area. During the workshop we will use a variety of techniques for exploring space and time through the medium of text. FREE OF CHARGE but BOOKING ESSENTIAL Please e-mail abjackson1@gmail.com to reserve a place. nb. this event is not organised by FOSC. Quaker Meeting House, St James Street, near the Cathedral. Codnor Castle, strategically placed between Sheffield and Nottingham Castles, is a medieval stronghold you may not have heard of until now. Codnor has much in common with Sheffield Castle – originally probably starting off as a Motte and Bailey and in the C12th transformed into an inner and outer bailey with curtain walls and round towers. 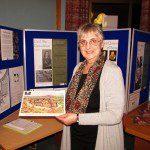 Come along and hear Maureen Taylor talk to the Hallamshire Historic Buildings Society about a little known castle still officially a ‘building at risk’. Marie arrived at 1000 hrs in a torrential rainstorm (as did the Friends of Manor Lodge) – and we all sat inside the Discovery Centre watching the rain until about 1100 hrs wondering whether to go home! Jon Bradley had kindly provided a gazebo for us with side panels, but FOSML had their own which they were reluctant to put up. However, during a gap in the rain, we all decided to be brave and “go on with the show”, but it was only a brief respite in the blustery/wet conditions so we battled on all day. David T of FOSML had to lean against his gazebo support all day long to stop it taking off. Being located on a slope, items on our table constantly kept sliding forwards until during a massive burst of wind everything collapsed and two visitors actually helped me to replace everything and put house bricks under the front legs of the table to level it up. We were not very busy, as obviously many people had stayed at home owing to bad weather. 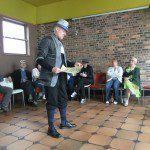 You can only laugh about these tribulations, but the calming performances of the Doncaster Waites Tudor Music Group all day obviously reduced our blood pressure somewhat and kept us entertained. 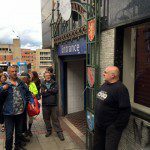 27 of us (24 members plus 3 Committee) turned up for Ron’s second walk of the weekend (a repeat of Friday the 11th). A beautiful sunny day, with a slightly different route because Ron had planned to meet Valerie Bayliss of the Friends of the Old Town Hall, so Marie took the remainder of the party on the last leg to the Old Queen’s Head (looking down into the Sheaf again at Pond Street to look at the interesting stones). Members were extremely generous with their Group donations – way more than could ever be hoped for! Thank you all so much! Will be held on Thursday 17th April at 6.30 in the Royal Victoria Hotel/Holiday Inn. We hope you will be able to attend and take part in the discussions. Please note, standard car parking charges apply on the premises. 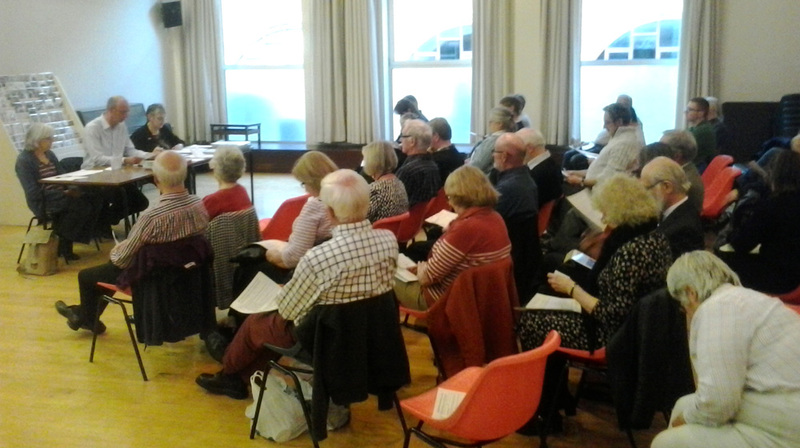 The second AGM of the Friends of Sheffield Castle took place on 16th April and a healthy attendance of over 40 people, was much appreciated. 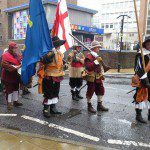 Over the past 12 months, the Friends have organised a number of talks including topics such as Mary Queen of Scots, The Lords of Hallamshire, The Cathedral and also we staged a re-enactment of the siege of Sheffield Castle on what was probably the wettest day of last summer!! 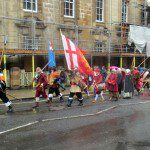 We have also supported our other local Friends, at Bishops House and the recently formed Friends of the Old Town Hall. I’m sure you will have seen the rapid demolition of the old Markets site and you can already get an impression of the huge size of the old Castle footprint. As we reported in September last year, the Council were unsuccessful with their Heritage Lottery Fund bid however, a revised bid for new funding has now been submitted to compliment the Councils ‘Grey to Green’ corridor project, which stretches from Snig Hill through to the Quays. 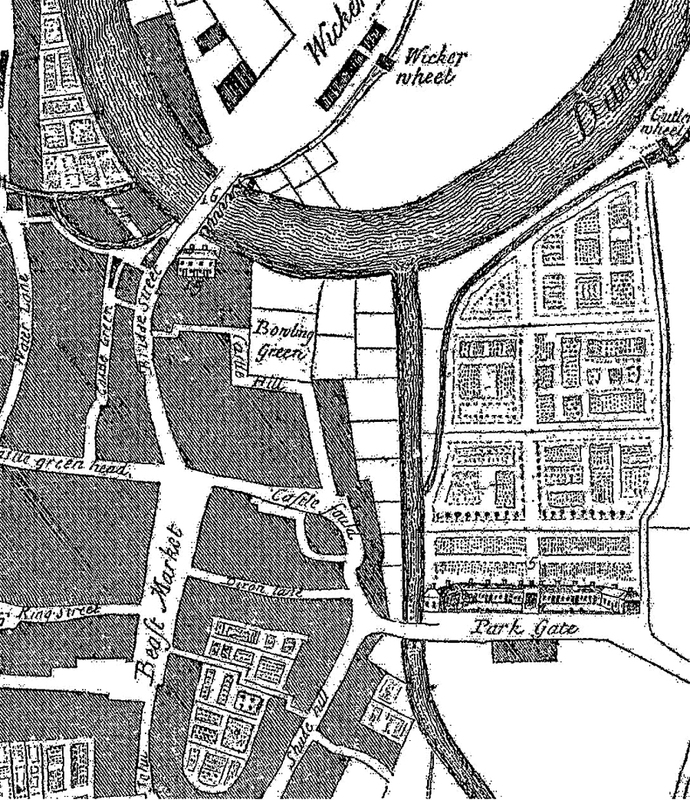 The plan still remains to reveal what remains of the Castle, in an open space area alongside a de-culverted River Sheaf and as part of an overall improvement in the wider Castlegate area. 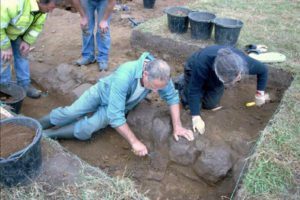 If successful, trial archaeological trenches will start to be dug this time next year to determine the extent of the remains. Over 240 members have joined us since we launched back in October 2013 and we look forward to increasing our membership over the coming months. We are grateful for your ongoing support, as funds raised through membership goes towards putting on talks, hiring venues etc. 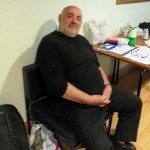 We were also grateful for suggestions from the members on the night and would also welcome any ideas or offers of help for the Group, moving forward. 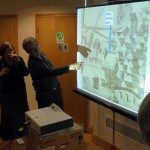 Our guest speaker at the AGM was Vanessa Toulmin, Head of Public Engagement for Sheffield University and we learnt of the significant plans to re-vitalise the whole Castlegate area. 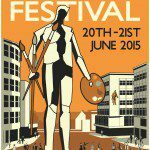 One part of this will be the Castlegate Vibrancy Festival on 20/21 June, so watch this space for more details. 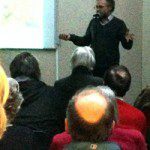 We have 2 new talks planned for the coming months, please follow the events link above. I hope you find them of interest and look forward to seeing you there. 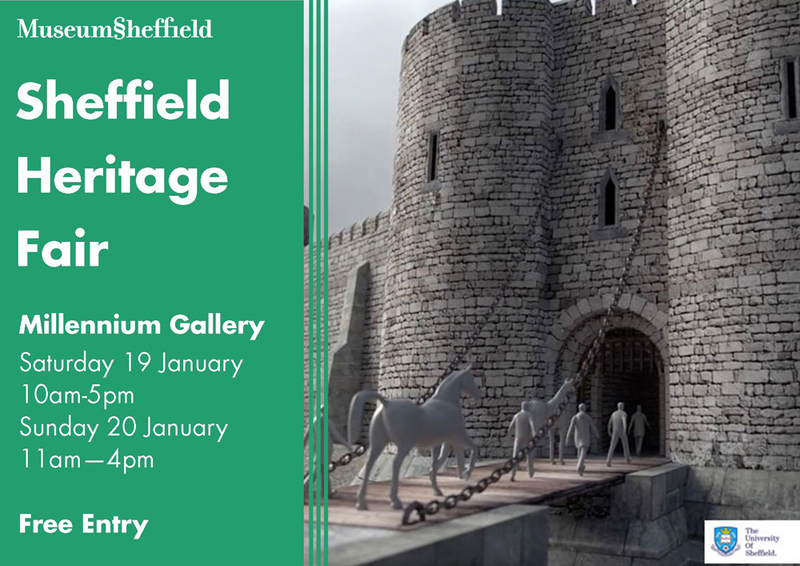 From Saturday 1st February to Friday 28th February a small exhibition on the history of Sheffield Castle will be on display in Sheffield Central Library on Surrey Street. The exhibition is freely accessible, and located in the First Floor stairwell display case; it contains panels, historic maps and some artefacts which were recovered during the most recent excavations at the site (2002). 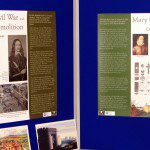 The exhibition has been created by Jonathan Willmer, as a result of a student placement partnership between FOSC and the University of Sheffield. 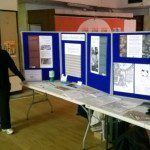 Nicole Ruskill took these photos of the FOSC display at the Friends of Old Town Hall meeting on 17th March 2015. Please support this valuable group. 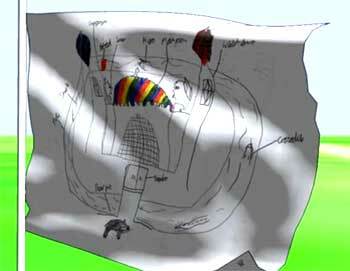 Castles feature in a project from Sheffield University’s ‘Festival of the Mind‘. 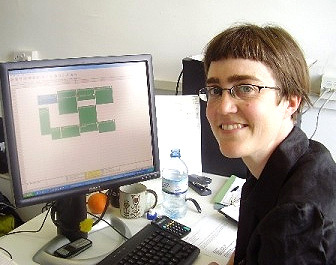 This was a collaborative project between ArcHeritage, Lovebytes and the University of Sheffield (Archaeology Department). They worked with schools groups to draw and model aspects of imaginary castle architecture and artefacts, and built them into a 3D digital model which was then animated. A new vision for Sheffield Castle! 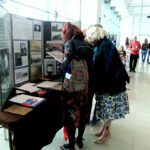 The festival is on until 28th September, and the exhibition is open to all, and free to visit, in Castle House. 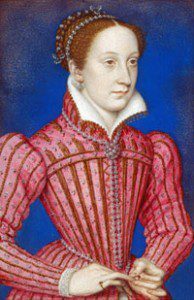 The Friends of Manor Lodge and Sheffield Cathedral are pleased to present a commemoration of the 400th anniversary of the death of Lady Arbella Stuart, 1615 – 2015. 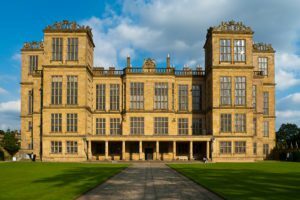 Join us for an evening of history, drama and music in the magnificent surroundings of Sheffield Cathedral as we enjoy a talk by David Templeman on the Life of Lady Arbella Stuart, followed after the interval by a dramatic interpretation of her life, featuring the characters of Lady Arbella, Bess of Hardwick and Mary, Queen of Scots. 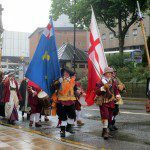 The evening will conclude with a grand procession of the principal characters and their ladies-in-waiting to lay a wreath at the Tudor Shrewsbury Chapel within the Cathedral. Sheffield Cathedral (then Sheffield Parish Church), would have been very familiar to Arbella Stuart, who visited regularly as a child and later as an adult. Her uncle, Gilbert (7th Earl of Shrewsbury) and her aunt, the Countess Mary, lived at Sheffield Manor Lodge and are buried in the Shrewsbury Chapel vault, together with Arbella’s mother, Elizabeth, Countess of Lennox. In recognition of this close association we are proud to present this event to honour Arbella’s memory on the anniversary of the date of her death. Please book early as tickets are limited. Learn more about the Castle! 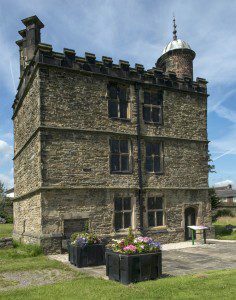 By kind permission of Sheffield Museums Trust, Dr Glyn Davies of the Friends of Sheffield castle will repeat his intriguing talk at 1pm on Tuesday 27th May in activity room 3 at Weston Park Museum. 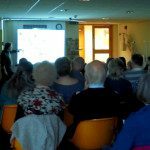 The talk lasts some 40 minutes, followed by questions, is illustrated and delivered by the last archaeologist to carry out work on the enigmatic site of Sheffield’s lost castle – it is also a great opportunity join FOSC and learn about their activities! 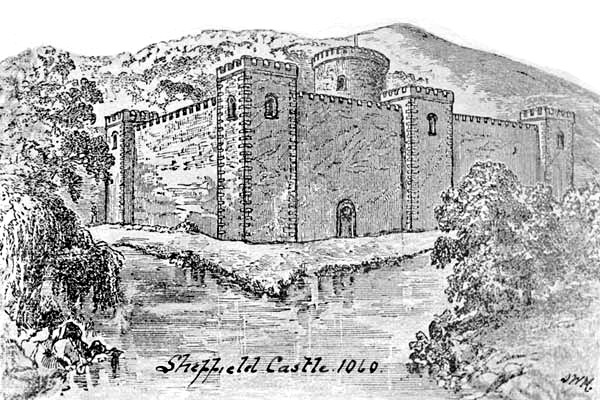 Lloyd Powell will be giving a talk about Sheffield Castle at Bishops’ House. 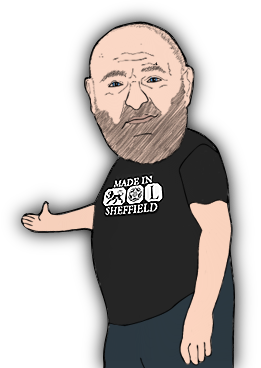 Lloyd is a well-known local historian who has an extensive knowledge of Sheffield Castle and is renowned for his fascinating talks. 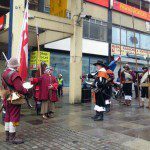 On the eve of the major relocation to the Moor, join Anna Badcock to find out more about a special project celebrating the history of Sheffield’s Castle Market. There will be reference to the Castle, but it’s not the main subject of the talk. 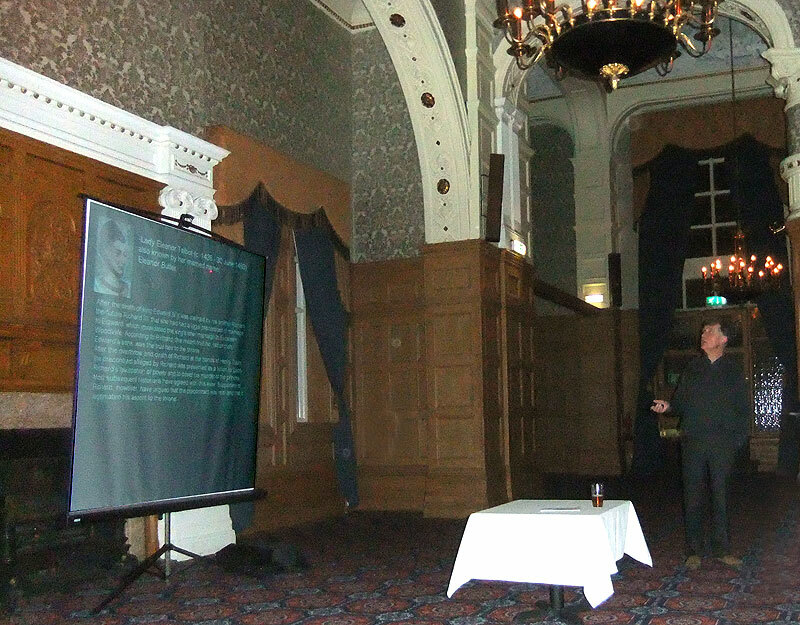 Peter Machan’s recent talk brought a respectable 57 people to the opulent surroundings of the Royal Victoria Hotel, demonstrating once again how popular the Castle is to the people of Sheffield. Below a photo of the talk by Marie Gilman. 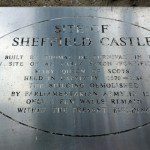 Mel Jones – Radio Sheffield’s History Man and authority on Sheffield’s ancient woodlands looks at the function and management of the medieval deer park that adjoined Sheffield Castle. 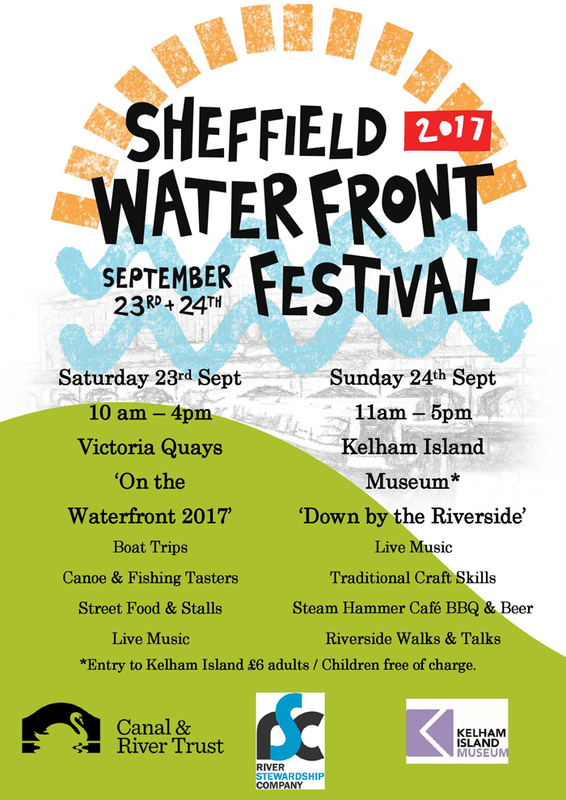 FOSC’S Lloyd Powell will be giving his version of the life and times of Sheffield Castle as part of the Off The Shelf/Festival of the Mind. Admission is free and there is no need to book. 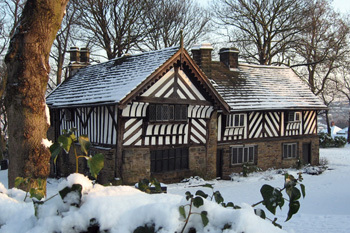 “The Lords of the Manor and Castle of Sheffield, 1066 to 1649” is the title of a talk, by local author and historian Peter Machan, telling the dramatic story of the lordly families who ruled Sheffield from their stronghold at the castle throughout the centuries when the little town was a manorial borough. Who was Waltheof? Who built the castles and how important were they within the realm? What else did they own and what evidence can we trace of their developments in today’s landscape? We examine the historical records to piece together some or the intriguing answers to these questions in this beautifully illustrated talk. This talk is taking place in the assembly room of the Royal Victoria Hotel/Holiday Inn on Thursday 6th March at 7-30 prompt. 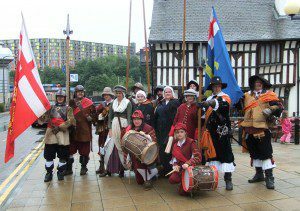 Due to the tremendous interest in the future of the site of Sheffield Castle demand is likely to be high and you are advised to book in advance by e-mailing bigronclayton@hotmail.co.uk stating your name and how many places you require. After the talk will be an opportunity to have some refreshments in the Hotel Bar and meet some of the Friends of Sheffield Castle Committee and ask any questions you may have. Please join us on what is sure to be a fascinating evening. 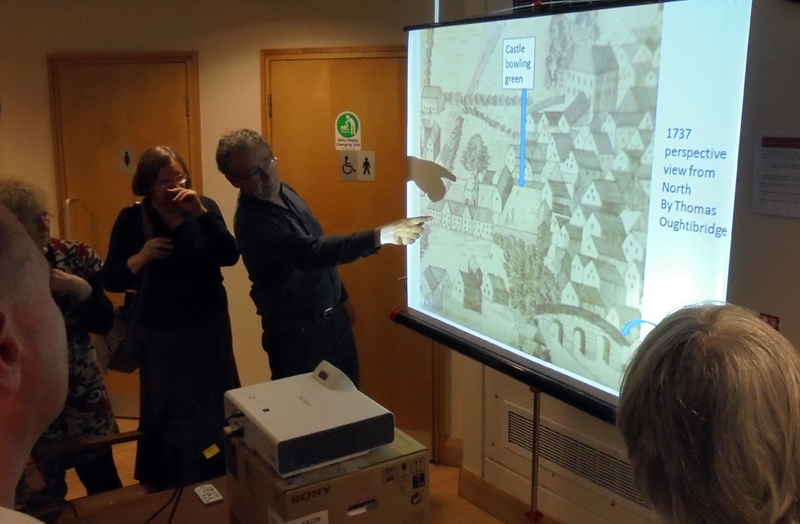 Here’s a picture from Anna Badcock’s well-attended talk about the history of Castle Market. 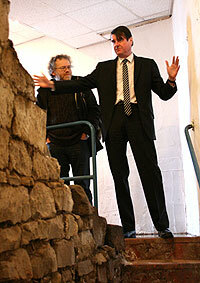 Ron Clayton of the Friends of Sheffield Castle talks about the Myths and Mysteries of Sheffield Castle. Admission free but places must be booked by e-mailing janet.ridler@sheffield-cathedral.org.uk or telephoning 0114 263 6951. This date will see ‘A True And Exact Relation’ of the Surrender of Sheffield Castle to the Right Honourable Earl of Manchester’s Army of Parliament commanded by Major General Crawford and Col John Bright (late of Carbrook Hall, Sheffield) by Major Thomas Beaumont and Lady Saville on behalf of his Majesty King Charles the First. 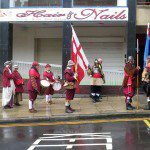 Drums will roll, colours will fly and muskets and pikes be shouldered as the Terms of Surrender are proclaimed in this renactment of an event which took place on the 11th August 1644. Exchange Street to greet the forces of King and Parliament – bring your cameras. 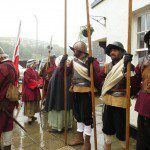 The English Civil War is usually portrayed as Cavalier -vs- Roundhead or Charles the First -vs- Oliver Cromwell. Of course it was more complex than that. But let’s forget the supporting cast and the likes of Prince Rupert and Black Tom Fairfax or, on a local basis, John Bright and the intriguing Kelham Homer. 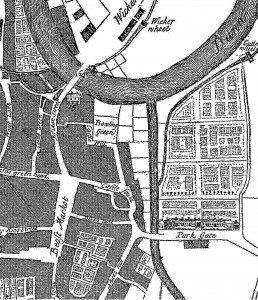 Let’s look at the cares and concerns of the common people of Sheffield in the August of 1644 when blood was shed in the vicinity of its castle. 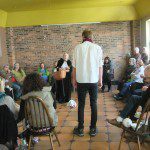 This was the theme of ‘Laid Siege’, performed by a troupe of Sheffield Players in the loft of the Eten Cafe on 3rd October with two well-attended performances on behalf of the Friends of Sheffield Castle (to which generous donations were made). Finding themselves in that most cruel and divisive of conflicts – Civil War – the townspeople had their usual everyday concerns, aspirations, hopes and fears, not only for themselves but also for the young Maria Beaumont, fallen victim to a fatal illness, daughter of the Commander of the Royalist garrison and the widowed Lady Savile. The cheerful optimism of the young radical “Digger” and his dreams of a true Commonwealth, the vacillating Steward, the pragmatic, pipe-smoking landlady of the Old Queen’s Head with concerns about the Psalm-singing Puritan troopers, and others, all provided vignettes that are echoed today just as in the days of early August 1644. The original folksong at the end of the performance expressed eternal optimism for better days and ways that we yearn for in present-day conflicts. An apt finale for the penultimate event in the life of what some regard as “The People’s Castle”. Yours Truly provided an introduction, with Marie Gilman supporting the event with a small display. But the real stars of the show were the players – to whom many, many thanks for a wonderful performance! 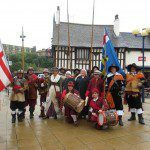 Shot by Marie Gilman, here is a short video of highlights from the recent performance of “Laid Siege”, a look at the inhabitants of Sheffield Castle, workers and the Old Queens Head Tavern during the siege in the 17th century. 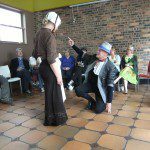 A warm Dickensian welcome awaits at this event! Join Sheffield Manor Lodge for festive fun and shopping with over 120 stalls. Enjoy traditional crafts and skills, family fairground, live music performances, Dickensian characters, Santa’s Grotto and reindeer. Christmas is actually not too far around the corner! Sheffield Manor Lodge have some wonderful events lined up celebrating the Festive Season. some of the displays that used to live in the Traditional Heritage Museum. bill along with the Gamebirds, an acclaimed a capella harmony group, and Sciorr, a lively women’s step dancing group and, of course, Handsworth Sword Dancers featuring their brand new rapper dance from Winlaton near Newcastle as well as our traditional promenade from the Discovery Centre to the Turret House for carols new and old (please bring a torch!). Booking is essential as places are limited, £6 per person, £5 for Friends of Sheffield Manor Lodge. Tony from the Rhubarb Shed Café will be selling mulled wine and mince pies. Something tells me that this year’s is not to be missed! On Sunday 13th December, 12noon – 3pm, It’s a 1940s Christmas at Manor Cottages. Join Mr and Mrs Barnes as they celebrate Christmas at their cottage 1940s style. Music, crafts, traditional games, festive food and Father Christmas too! Ticket prices are £10 for Non Members and £8 for Members – cheques payable to “Friends of Sheffield Manor Lodge.” You can check availability on Tel: 01246 415497 Tickets by post with a SAE please: FOSML, 6 Hawkshead Avenue, Dronfield Woodhouse, Dronfield S18 8NB. The Marie Stuart Society have their annual general meeting in Sheffield this April for the first time in six years. The Society was set up in 1992 to promote research into the life and times of the ‘Captive Queen’ and they will visiting the Manor Lodge as per usual. Please note, the AGM is MSS members only. Author Micky Mayhew will be on the 10th April walk with copies of his lauded ‘The Little Book Of Mary Queen Of Scots’.Described as ‘A Bright And Breezy Account Of The Complex Life Of Mary Stuart’ [Phillipa Gregory]its an A to Z of everything you wanted to know about Sheffield’s most regal resident,the men, women and locations [including Sheffield Castle, the work of FOSC,Manor Lodge] etc. Its a hardback, beautifully illustrated and an absolute snip at £9.99. Its going to be a great event so come on down! Friends of Sheffield Castle Chair Martin Gorman and Friends of Manor Lodge Chair David Templeman will be in attendance.A combined event and a great photo opportunity! . 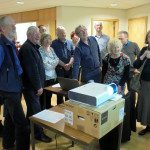 An open afternoon at Sheffield City Archives revealing some of the city’s treasures. 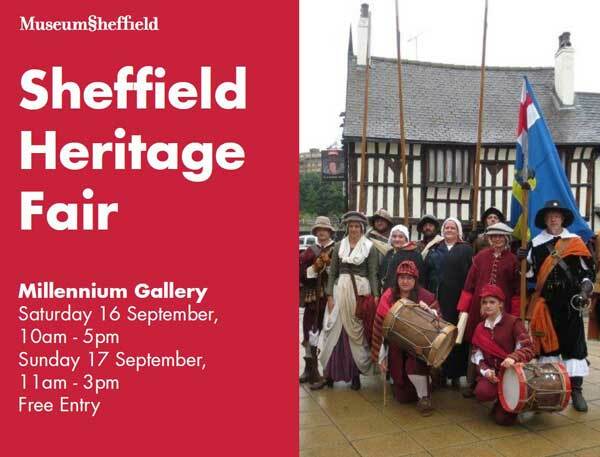 View some of Sheffield’s rare historical manuscripts dating from the 13th Century, including the Market Charter from 1296, letters written by Mary Queen of Scots during her captivity in Sheffield in 1571, and other fascinating documents that tell of the history of our City. 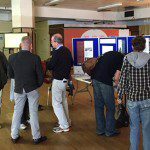 Our AGM is fast approaching on the 21st April 2016 at 6.30. As last year it will be held in the Central United Reformed Church, Norfolk Street, S1 2JB (at the end of Chapel Walk) at 6.30pm. Please do come along! 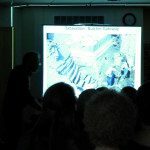 The formal part only lasts 10 minutes and you can enjoy a fascinating talk by the last person to undertake an archaeological excavation on the site, Dr Glyn Davies. 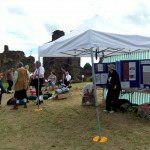 We also need members’ input into our next strategic plans for investigating options for the future of the castle site. Papers, including voting forms, will be circulated to all members towards the end of March. We are very keen to hear from anyone who might wish to bring skills to the Group so please contact our Membership Secretary if you are interested in helping us. 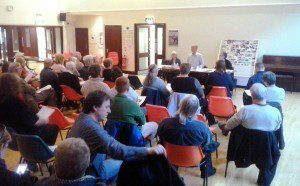 An exciting scene from last year’s AGM. 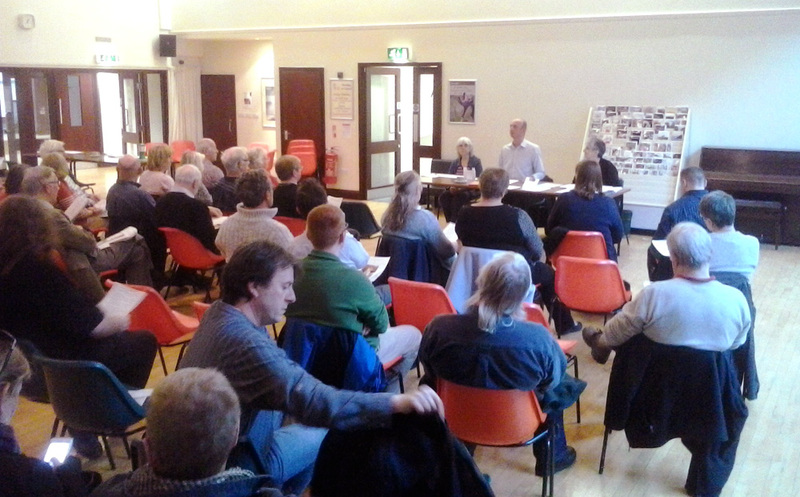 Attendees totalled 52 (comprising 40 members, 2 guests, 9 committee members and the speaker). The chair gave a warm welcome to all and fully summarised the past year of group activities, events, negotiations and discussions with the Council, etc. as we have now achieved an annual income of over £5000 (the second step in the process), we will be applying for Registered Charity status in 2016. Chair reported FOSC activities to date and listed activities and events planned for the remainder of 2016. 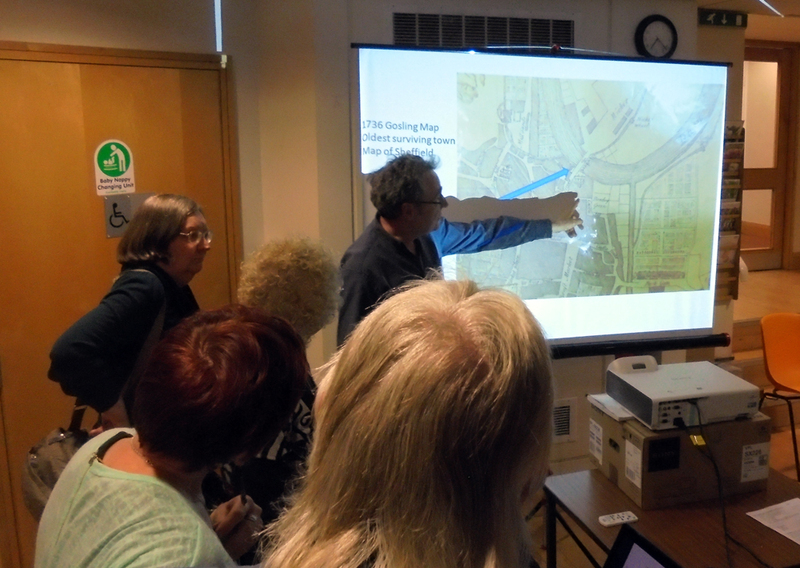 FOSC are working with Sheffield City Council on their de-culverting project which may lead to opportunities to learn more about the river and castle. 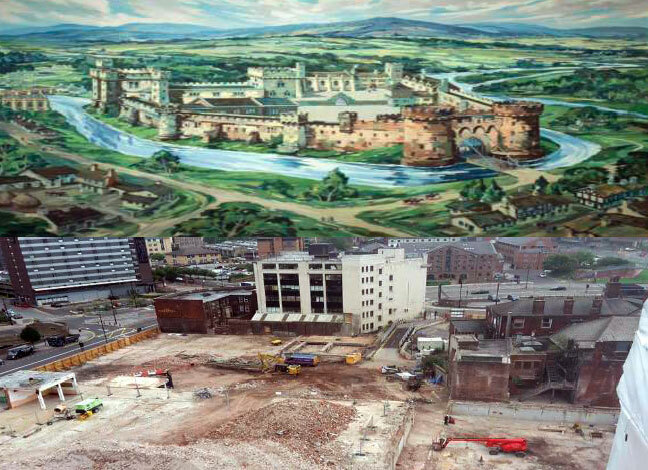 Hoarding is now up around castle site and art work has been commissioned depicting the history of Sheffield. Launch event to be held and details to be provided on the website for people to come along to support. Castle Market demolition complete with underspend of the budget identified by Sheffield City Council which could be available for funding trail trenches on the site. A decision due this month. Potential to use the site on an interim basis for events subject to health and safety considerations. Creation of a park at the castle site with remains visible and is the current likely plan for the site in the next 12 months. The plans for HS2 could have a big impact on the value of the castle site and development of the site is a possibility. FOSC will work closely with Sheffield City Council to protect the site and its archaeology should this occur. Are we inputting into Heritage Strategy? 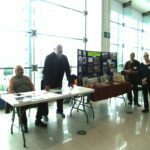 – FOSC attended the Heritage Conference in April 2016 and we can learn a lot from the approach taken by Nottingham. An update on the outcomes of the conference will be placed on the website. Will there be any archaeology done at the site? – Ultimate aim to undertake trenching with community involvement and trail trenches are likely with the park proposals at the site. The Secretary conducted the vote with members re-electing the existing committee of 13 with one change: Marie Gilman retired as secretary, handing over to Holly Smith but remaining on the committee with a commitment to increasing membership and awareness via public shows/events/etc. The remainder of the committee are: John Moreland, Adrian Millward, Anna Badcock, Ron Clayton, Clive Waddington, Marie Gilman, Nick Robinson, Lloyd Powell, Hermann Beck. 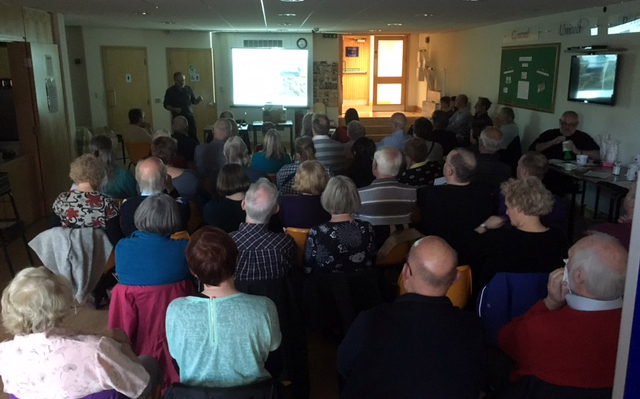 Members then enjoyed a fascinating talk by Dr Glyn Davis (who was the last archaeologist to undertake an excavation on the Castle site), and Glyn answered many questions from the “audience”. 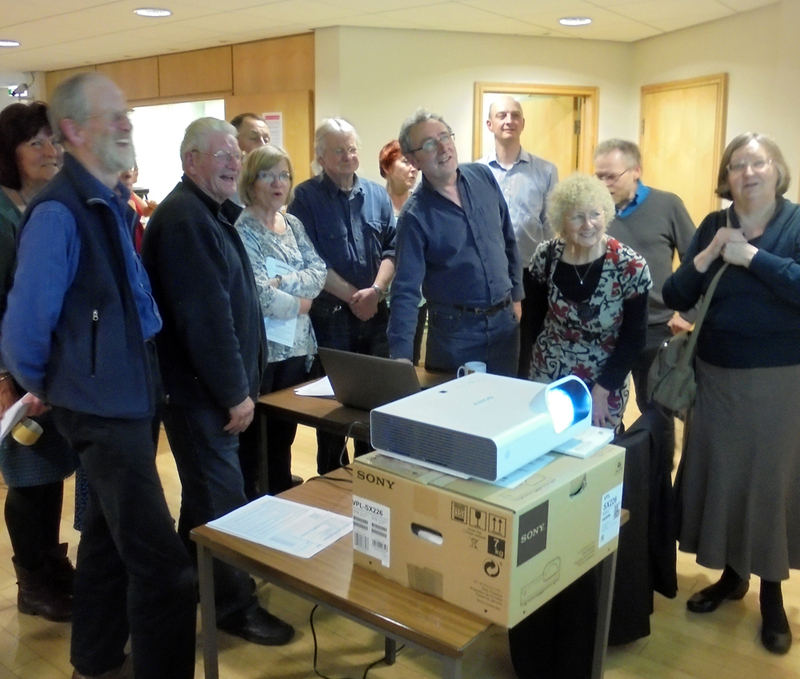 The evening ended at 20.15 after the Raffle Draw, with Martin thanking everyone for the good turnout and reminding them to keep checking the website for latest information. The next FOSC AGM will be held on Thursday 20th April 2017 (to be notified to members nearer the time). FOSC have a stand at the talk /evening organised by the University “Cabaret” Evening at Upper Chapel, Norfolk Street. 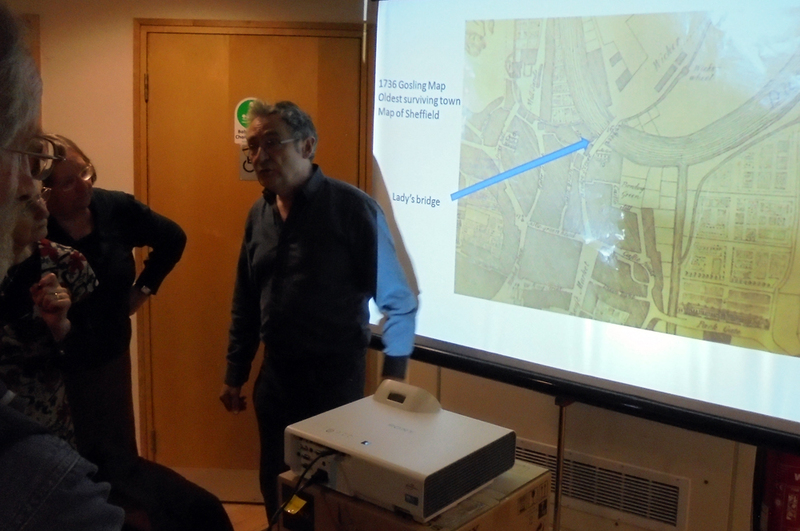 The topic is “Civil War in Sheffield & Sheffield Castle’s fate” led by Professor Michael Braddick (Dept of History). Marie and Ron are kindly attending for FOSC. Followers of history will surely find something of interest here. For details, please email Alyx Mattison a.mattison@sheffield.ac.uk or James Chetwood jachetwood1@sheffield.ac.uk. 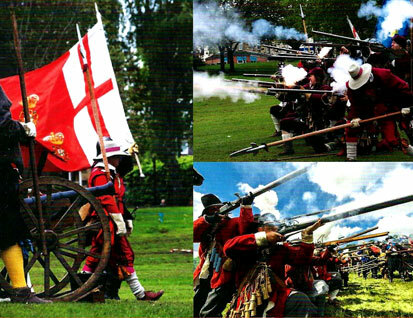 Experience on site the living camps, displays, drills, sights and sounds of different historical eras – all within the backdrop of the 16th-Century Manor Lodge Turret House and Ruins, with The Friends of Sheffield Castle (visit our stand); Celtic Brigantes; Mediaeval Knights; Civil War Society; Napoleonic Wars; WW2 Home Guard; Children’s Crafts; Bouncy Castle; Face painting. Admission is £3 adults £1 children – under 5’s free – refreshments available in clubhouse. Please join us to celebrate the completion of this new artwork for Castlegate. We’re delighted to have worked with Sheffield City Council and arts collective Glassball on the longest artwork in Sheffield, spanning 175 metres in total it tells the story of one of Sheffield’s most historic sites. We’re hosting a public event on Saturday 9th July from 12 – 2pm, next to the hoardings on the corner of Waingate & Exchange Street. At 1pm artist Cora Glaser and archaeologist historian Rachel Askew will be delivering a walking tour of the artwork. Free and open to all. Please join us and collect a specially commissioned Castlegate fridge magnet! Arts collective Glassball have been working since October last year to create this amazing, rich and multilayered artwork for the hoardings around the Sheffield Castle and former castle markets site. 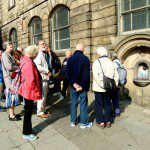 It is full of historic and contemporary detail, interesting facts, fiction and people’s everyday tales of Castlegate. We think its a true reflection of the care and dedication given to the project by project partners and the artists Cora Glaser & David Ball and their commitment to including the voices of the good people of Sheffield. Come along and judge for yourself! Admission: Members £3; non-Members £5. Refreshments available. Book in advance with Ron on 0114 234 6669 and pay on the door. 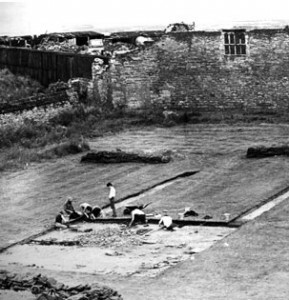 See the excavation of a Romano-British Settlement site. 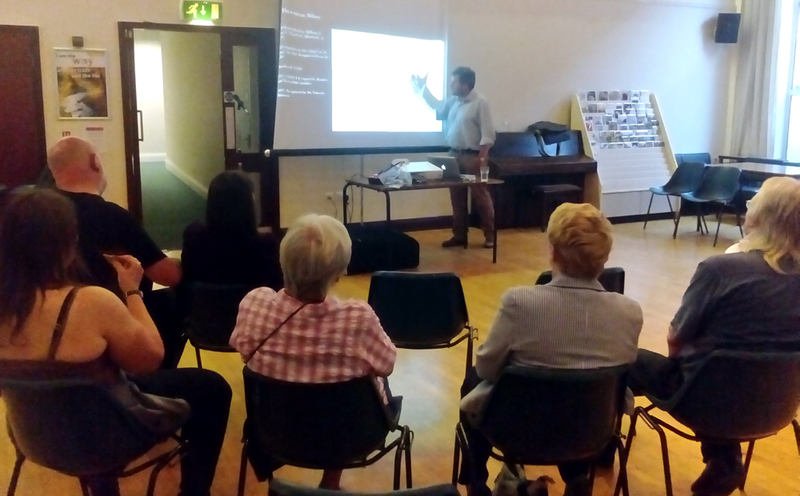 Last night saw a talk at Central United Reformed Church by Dr Hugh Willmott (Sheffield University Senior Lecturer in Historical Archaeology) entitled “Recent Research and Excavation at the Mediaeval Hospital of St James, Thornton Abbey”. 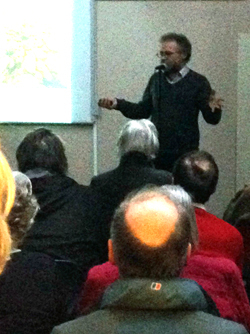 Many people turned out despite the humid weather and enjoyed a fascinating talk. Marie Gilman doing sterling work promoting FOSC at a recent event. You too can wear a stylish t-shirt like this! 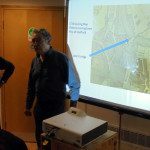 A talk at Central United Reformed Church – Dr David Clarke (Hallam University Journalism Lecturer & Leading Member of Folklore Society) – “Underneath Sheffield’s Streets – A Look at Sheffield’s Greatest Urban Myth – The Tunnels, Wells and Sacred Wells of Old Sheffield”. 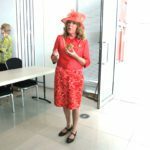 The Friends Of Sheffield Manor Lodge are delighted to announce Tracy Borman is coming to talk about “The Tower of London” – who better to talk on this subject than the joint curator of the Royal Palaces? This talk will be popular so book early please. Refreshments available. Entry free, but please arrive early to be sure of a place. We hereby invite all members and their guests to our Fourth Annual General Meeting and we are hoping for a really good turnout. 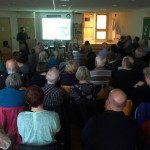 Dr Clive Waddington from Archaeological Research Services Ltd will be giving us a talk on “Britain’s forgotten frontier: Excavation of Roman and earlier remains at Whirlow”. Before the talk we will present the Reports of the Officers and vote for Committee Members. All Committee Members stand down annually but are eligible for re-election. It will assist us with seating and catering if you could please confirm your attendance or send your apologies using the contact details below. The AGM is an opportunity to renew your Annual Membership if still outstanding, so if you are attending please visit the membership table where we can check your current status. Renewals are due in January. The current Committee Members are: Martin Gorman (Chair); Holly Smith (Secretary); Glynis Jones (Treasurer); John Baker (Membership Secretary); Ron Clayton; Nick Robinson; John Moreland; Clive Waddington; Anna Badcock; Adrian Millward; Marie Gilman; Hermann Beck; Lloyd Powell, David Clarke (Co-Opted). Only Fully-Paid-Up Members may vote at the meeting. 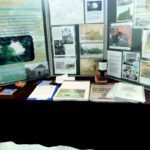 The Time Travellers Archaeology Group will be offering an opportunity to find out about recent ‘Discoveries at Whirlow Hall Farm’ as part of this year’s UK-wide Festival of Archaeology. 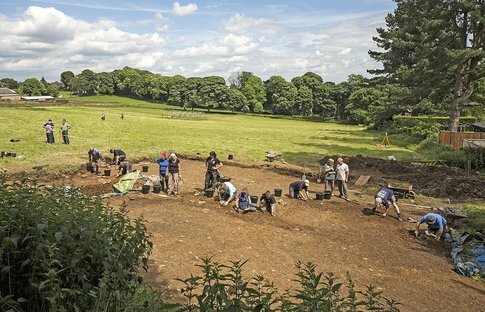 The event will offer two introductory sessions on the recent Roman and prehistory discoveries at Whirlow Hall Farm Trust. Each will include an introductory talk, display of finds, guided walk and a visit to the excavation site. 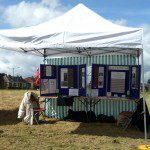 Following the initial discovery of the Roman site during 2011, The Time Travellers group gained a £60.000 HLF grant to return to the site, to further excavate its Roman and Iron Age remains. Field walking and geophysical surveys expanded knowledge of the areas prehistory and discovered the site of a Roman signal station on what was until recently a forgotten Roman frontier.